Pnin is a professor of Russian at an American college who takes the wrong train to deliver a lecture in a language he cannot master. Pnin is a tireless lover who writes to his treacherous Liza: "A genius needs to keep so much in store, and thus cannot offer you the whole of himself as I do." Pnin is the focal point of subtle academic conspiracies he cannot begin to comprehend, yet he stages a faculty party to end all faculty parties forever. 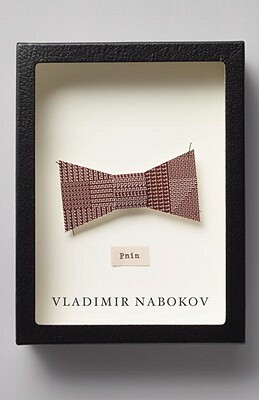 One of the twentieth century's master prose stylists, Vladimir Nabokov was born in St. Petersburg in 1899. He studied French and Russian literature at Trinity College, Cambridge, then lived in Berlin and Paris, where he launched a brilliant literary career. In 1940 he moved to the United States, and achieved renown as a novelist, poet, critic, and translator. He taught literature at Wellesley, Stanford, Cornell, and Harvard. In 1961 he moved to Montreux, Switzerland, where he died in 1977.